Documentary filmmakers in Uganda were subjected to intimidation and coercion and were the victims of break-ins while attempting to film what a former U.N. official calls “Uganda’s secret genocide” in the northern part of that country. The filmmakers say these threats came from Ugandan officials and secret intelligence organizations there. The cameraman for an American film crew, who did not want to release his name in fear of further retaliation, says he was robbed of videotapes and CDs of photos after filming major human rights abuses in Uganda last year. Viewer Discretion Advised: Photos of Uganda’s Secret Horrors. Despite the efforts at intimidation, the filmmakers obtained dramatic footage of what they say is fresh evidence of atrocities and inhumane living conditions in the Internally Displaced Persons (IDP) camps, where millions of displaced Ugandan minorities live in squalor and disease. The filmmakers says it’s a humanitarian crisis that has been covered up by the Ugandan government and largely ignored by the Western media. “We walked across mass graves, through an inferno of burning huts and across a field of bodies that were just left to decompose by a government that didn’t even care enough to dig a hole and bury them,” said Tiffany Gravel, the American director, as she recounted her trip through Uganda’s northern civil war-ravaged countryside in 2006. The documentary, “Abila Pe,” which translates from native Lwo as “The Shrine is Gone,” is the story of the Acholi people who were “involved in a civil war and ends with a forgotten genocide,” according to the rough DVD trailer released to ABC News. “It’s a huge conspiracy of silence about the genocide which has been committed in northern Uganda,” said Olara A. Otunnu, the former U.N. undersecretary- general and special representative for children and armed conflict. The Ugandan government, however, denies these claims. “Nobody forced anybody to come to the camps,” said Col. Charles Angina from the Ugandan Embassy. “These are lies,” he says. Angina further denied any intimidation or threats toward Gravel or her film crew by the Ugandan government. The Ugandan government says it created refugee camps for displaced people who were victims of a violent, ongoing civil conflict with a rebel group from the north called the Lord’s Resistance Army (LRA). “Once the bad guys come, the terrorist groups come to the area, people are forced to run where they think they can have sufficient security. They become displaced because they have nothing,” Angina said. While the government and its critics argue over the death rate in the camps, both sides agree that millions have been displaced — mostly the Acholi people — whose cultural traditions have been nearly wiped out because of the civil war and the dislocation, according to the USAID. Despite the intimidation and threats to her crew, Gravel hopes the images of war-torn villages and testimonials of the victims in her documentary will provide enough proof for more investigation. “Whether or not you call what is happening in northern Uganda genocide or not, what’s happening to the Acholi people is wrong. 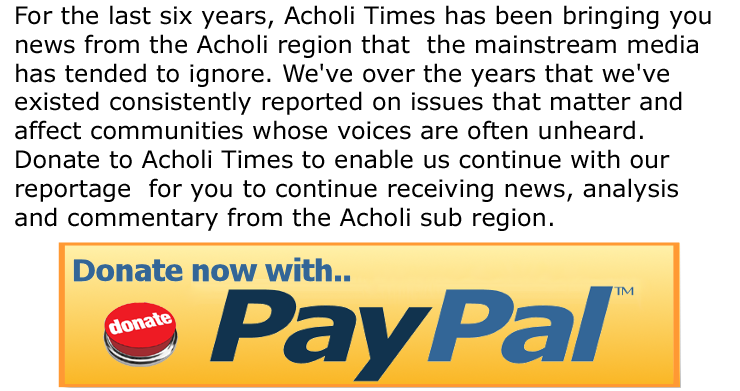 No human being should be forced to live in the conditions that the Acholi are forced to live in every day,” she said.